The otherworldly scenery of a brightly pink lake surface adjacent to the deep blue of the Southern Ocean is one of the most underappreciated natural wonders Australia has to offer. 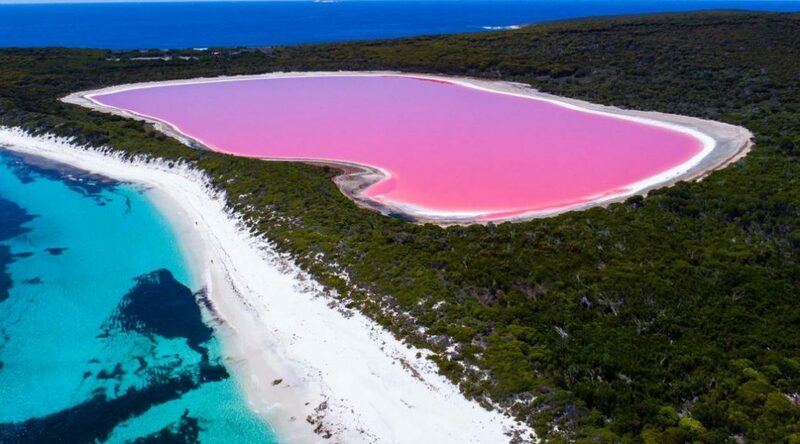 There are a number of pink lakes scattered around Australian soil, but nowhere is the effect as dramatic as it is in Western Australia’s Golden Outback region, where the vibrant pink waters of Lake Hillier nearly adjoining the neighbouring ocean. As some of the most salt-rich surfaces in the world, Australian pink lakes aren’t exactly designed for swimming, but thankfully, in the case of Lake Hillier and Coral Coast’s Hutt Lagoon, the surrounding parts of Western Australia offer plenty of other opportunities for water sports and other activities, particularly in the summertime. If you’re already mentally packing for a summer trip, consider this delightful corner of Australia for your destination. It is a long trip, but there is plenty to explore and experience, so perhaps best rent a free campervan or a transfer car and make it a road trip to remember. Here’s what lies ahead. Lake Hillier is located on the Middle Island in the Recherche archipelago, just off the southern coast of Western Australia. The island can only be accessed by water or air, and you can catch a ride in the charming coastal town of Esperance overlooking the Recherche archipelago. Esperance is about a 7-hour drive away from Perth. Alternatively, you can fly from Perth as well, but we strongly suggest a road trip. 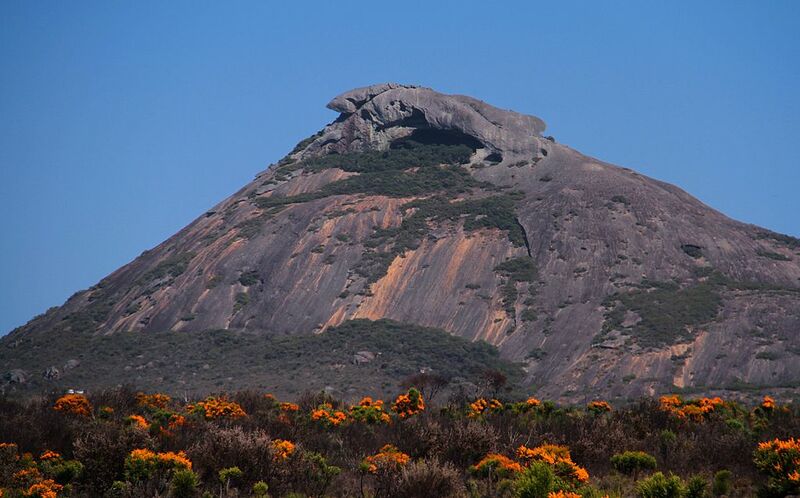 The route from Perth to Esperance has become a popular road-trip track, with stunning scenery and numerous attractions like Wave Rock or Lake King scattered along the way. The town of Esperance serves as one of hubs for the emerging Golden Outback tourism. Its pristine beaches and a laid back spirit are attracting more and more travelers by the year, and once you get there it’s easy to see why. Once in Esperance, the Middle Island and Lake Hillier are just a short flight or boat ride away. There are numerous local options for either means of travel. The small island is uninhabited, and the untouched nature is excellent for a relaxed hike. If the budget allows it, experiencing Lake Hillier from a fly-over perspective is strongly recommended, as it allows you to soak up the dramatic contrast between the pink lake, the blue ocean and their vibrant surroundings. It is still debated whether Lake Hillier owes its peculiar color to the high salt content, microalgae, species of bacteria or all of the above, but whatever the cause may be, the visual effect is simply mesmerising. The lake itself is safe for swimming, but with such a high concentration of salt you would probably rather call it floating. Once a visit to Lake Hillier is out of the way, the Golden Outback coast beckons further exploration. Stunning beaches are Esperance’s calling card, and there’s no better place to start than at the Cape Le Grand National Park. Sitting some 50 km southeast of Esperance, the park features some of the most coveted beach scenery in all of Australia. Beaches like Lucky Bay and Hellfire Bay are that postcard-ready combination of white sand and marine blue, and Lucky Bay comes with the added bonus of sunbathing kangaroos! If in possession of a 4-wheel drive, the beach road towards the Cape Le Grand is an absolute must. In the Midwest region of Western Australia we find another gorgeous pink lake. Hutt Lagoon is set in Port Gregory, a small fishing town on the Coral Coast, a highly rewarding six-hour coastal drive away from Perth. Hutt Lagoon is a moody one, changing its colors from bright pink to soft purple depending on the weather and the time of day, with the locals recommending a visit during early morning hours or at sundown. Unlike Lake Hillier, Hutt Lagoon can be accessed by car, though it is a bit off the beaten path and you will have to follow directions carefully. Also unlike Lake Hillier, Hutton Bay’s immediate neighborhood doesn’t offer much in the attractions department, apart from the pleasant drive, but venturing further out and about the Coral Coast offers plenty of options. Take the regional center of Geraldton as your starting point for further exploration. 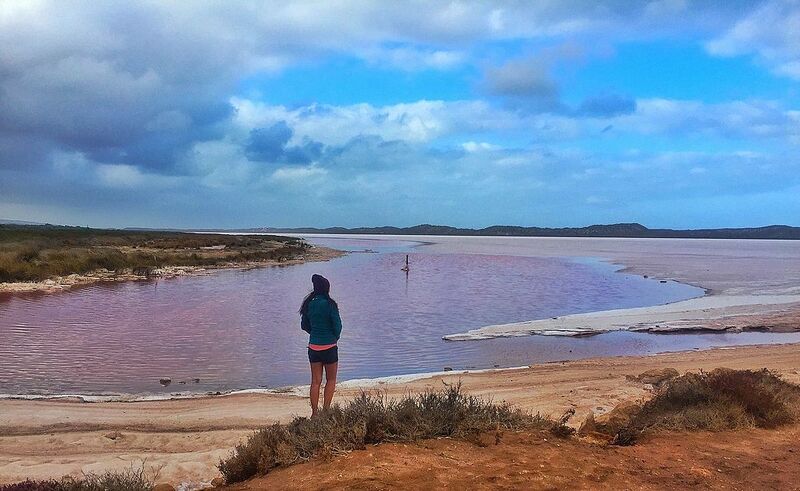 Australia’s pink lakes are a rare oddity that needs to be seen to be believed, and Western Australia offers plenty of other perks for a fulfilling road trip. There’s no better time for it then now, so turn your wanderlust all the way up to 11 and start planning.